As you may already know, a member of the forum's bird recently died so I decided to add a new profile field for ex-parrots. 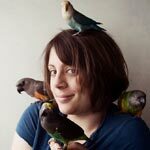 The reason I believe this is relevant to the forum is it demonstrates a member's experience with those species of birds. Since we do not permit ex-parrots to be listed in the current parrot types/names section, we have added the new ex-parrot field. We'll include deceased, stolen, missing, and rehomed parrots in this category. Basically if for whatever reason, you no longer have that parrot, you can mention it in that exparrot section. Thank you. I love that Python sketch! Question...I have experience with African Greys and Cockatoos, although neither were really "my" birds, they were "family" birds and I did live for a number of years with them. Does that count? I dunno. I'll leave that up to you. If you think you were their primary care taker and would consider yourself equally knowledgeable/capable of answering questions about them as a full time owner then I think it's ok. The main purpose of these fields is to show related bird experience and just what kind of birds you've had. If you put it in ex-parrot just make a small mention of why. Like that they were your parent's. Ok, that should answer it. Perhaps you could add an "other pets" block on the profile page. 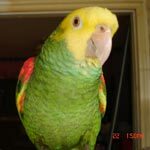 I know this is a parrot forum and our bird experience is important, but wouldnt it be nice to just have a little block on the profile page to list our other beloved pets. If you loved them and lost them then you should list them.